Update: The Catalonia Tourist Tax went into effect on November 1, 2012. For details about the rates, see the Catalonia Tourist Tax Fees table at our sister site, the Costa Brava Tourist Guide. 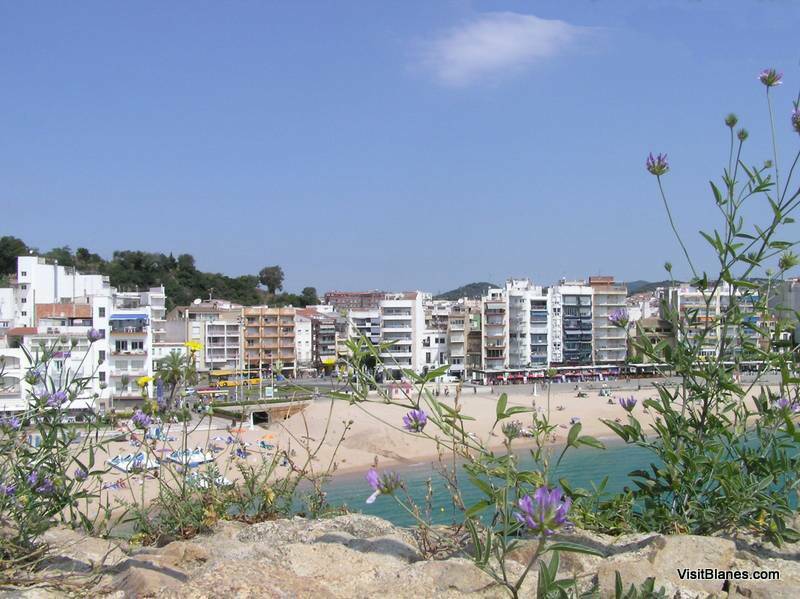 VisitBlanes.com, March 20, 2012 — The Government of Catalonia has approved the autonomous community’s budget proposal for 2012 — which includes a provision to introduce a tourist tax. The bill was approved by 61 votes in favor, 52 against and 17 abstentions. Catalonia hopes the extra taxes called for in the budget will help to somewhat alleviate financial problems in the health- and education sectors to the tune of 60 million Euro. Money from the tourist tax — which will go into effect on November 1 this year — will be used to finance the newly founded Tourism Development Fund, which will produce promotion campaigns for tourism in Catalonia. Twenty five percent of the money will be shared with municipalities in the region to be applied toward the cost of public services. When the budget proposal was first introduced Andreu Mas-Colell, Finance Minister for Catalonia, also mentioned the cost of subsidies to airlines such as Ryanair in efforts to have them maintain flights to and from Catalonia’s secondary airports of Girona and Reus. Tourists — local, national and foreign alike — who stay at five-star hotels or on board of cruise ships will pay € 2.50 per night. Those staying at four-star hotels will be charged € 1,25 in Barcelona, or € 1,00 in the rest of Catalonia. In the remaining facilities — including hotels with fewer stars, self-catering apartments, hostels and campings — tourists will end up paying € 0,75 in Barcelona, or € 0,50 elsewhere. When the tax was first proposed Catalania’s tourist sector reacted furiously, suggesting that many vacationers would stay away. But the Government pointed out that many other tourists destinations, such as Paris, New York or Tokyo, already tax visitors. In 2011 Spain saw an 8,1 percent growth in the number of foreign tourists, for a total of 56,9 million travelers. In the first 7 months on that year foreign tourists also spent 8,8 percent more money than in the same period the year before. The average amount of money spent per tourist and per day increased by 1,2 and 4,1 percent respectively. Mariano Rajoy, Prime Minister of Spain, in January this year said that tourism is the big engine behind Spain’s economy. His Plan Integral del Turismo includes efforts to help starting entrepreneurs in the tourist sector, promoting favorite destinations by increasing hotel capacities, encouraging the development of new destinations, and promoting Spain’s image abroad. It sounds worse than it is, I guess. When you travel to others places you simply don’t realize that part of your bill is due to a tourist tax. My husband and I often visit Blanes, and the new tax won’t change that. Spain — and Blanes in particular — has given me and my family many wonderful years of pure vacation pleasure. That’s one reason why I don’t mind paying a little extra. We love Spain and if we can help by paying a tiny bit of tax, that’s great. I remember when Spain was dirt-cheap before the huge tourist crowds changed entire villages into restaurant-rows. Then came the Euro which made things worse. (Shame on any politicians stupid enough to say price hikes were not caused by the introduction of the Euro). Now we live in an entirely different world and Spain is in big financial trouble. The new tourist tax will not keep me from vacationing here. It isn’t exorbitant. Just found out about this tax added cost to the holiday, I know its not much but when you have budgeted for all in, I dont take money with me so would of been a shock if I had arrived with less money.The travel companies should inform you at the begining when you book. At the top of the article is a link to a page where you see how much it costs. Most people pay the lowest rate on that chart — € 0.45 (45 cent) per person, per night, and then only for the first seven night. Children 16 and younger pay nothing. The difference between Catalonia and other places that charge tourist tax is that most other tourist destinations do not advertise their rates. The charges are usually included in the hotel prices.